Masternodes store a copy of the entire blockchain, they are available whenever possible, they manage immediate cash (InstantSend) and they secure the network. In addition to mining, providing a masternode is another way to generate coins. 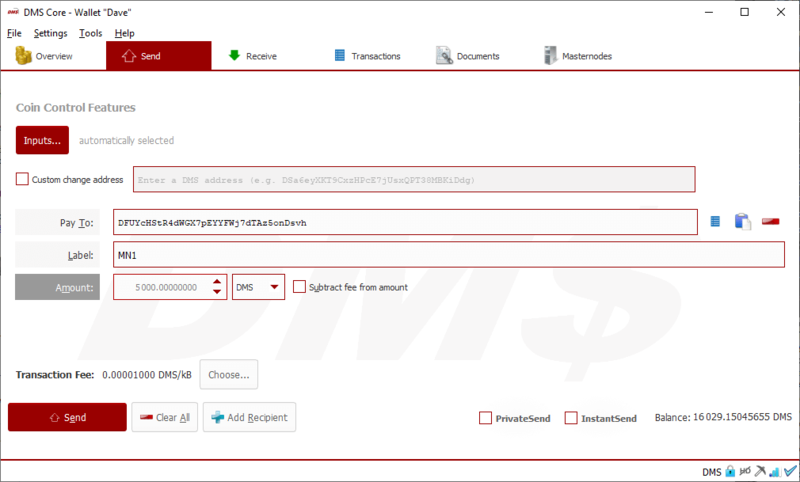 The DMS wallet, which usually runs on your local PC. 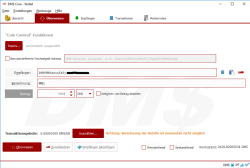 5000 DMS coins as a masternode collateral. Please select the menu command Tools | Debug console. At the bottom of the text box, please enter masternode genkey and press Enter. You will need the return value later. Now enter getaccountaddress MN1 ein. "MN1" is the recommended name for your first masternode. Alternatively, you can also use the address under File | Receiving addresses. Send exactly 5000 DMS to this new address. Open the Github website and copy the link to the latest Linux release to the clipboard. This will be used at "wget" below. Wait a moment, the data directory ~/.dmscore is created. Adapt the configuration file dms.conf. You can freely assign "rpcuser" and "rpcpassword". "externalip" is the IP of the VPS followed by port 41319. You have previously created "masternodeprivkey" in the local wallet with the genkey command. "addnode" is possible, but not required. The addresses of some masternodes are hard-coded. As a template, you can copy the example file to the clipboard. In vi, press i and then right-click to paste from clipboard. Save the file with <Esc>, :w<Enter>, :q<Enter>. Of course you can also use another editor than vi. ./dms-cli getinfo to verify that the daemon is running. 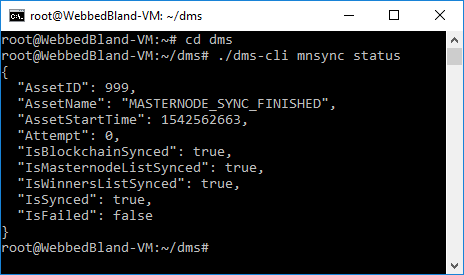 ./dms-cli mnsync status to get the synchronization status. Proceed immediately with the following instructions. You must wait at least 15 confirmations before proceeding. On average, 15 confirmations take 90 minutes. Menu Tools | Debug console. Enter masternode outputs. You will get an output like "120326c48d9d46abc64f5a123427fb63abcbd7512337c97f5abc879fea123e1b": "1". Menu Tools | Open Mastenode Configuration File, to load "masternode.conf" into the editor. Name is in our example "MN1". The IP of your VPS followed by port 41319. The key was initially generated. Outputs1 is the transaction ID, which you have queried with "masternode outputs"
and Outputs2 the number behind, in our example it is 1. On tab Wallet, check the options Enable coin control features and Show Masternodes Tab. Save with OK, exit the Wallet and restart. Please wait until "IsBlockchainSynced", "IsMasternodeListSynced", "IsWinnerListSynced" and "IsSynced" have the value "true". Go to the tab page Masternodes. Select the newly created MN1 and click on Start Alias. Adapt the sample file shown below to your IT-environment and copy the content to the editor. Save and exit editor. 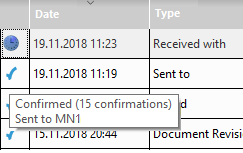 Check the masternode status in your local wallet regularly. You should restart it, if the status is "NEW_START_REQUIRED". Check the VPS, if the status "MISSING" is shown.